Volleyball Spike Trainer VST-500 - Volleyball Spike Trainer VST-500, Volleyball Spike Trainer for Ceiling Installation in Garages and Basements - Practice Volleyball contact, arm swing, and footwork techniques. 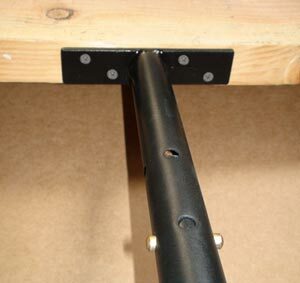 For mounting to ceiling joists in your garage or basement. Perfect your Volleyball hitting technique using the most cost-effective and durable Volleyball Spike Trainer on the market. Work on footwork and approach, jump, arm swing, and ball contact. 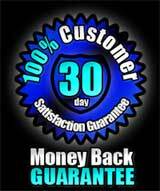 If your kids play junior high, high school or club volleyball, they will love the improved results that come from practicing at home with this product. The VST-500 is designed for younger Volleyball players (Ages 8 to 13). The height adjustment is 12 inches. 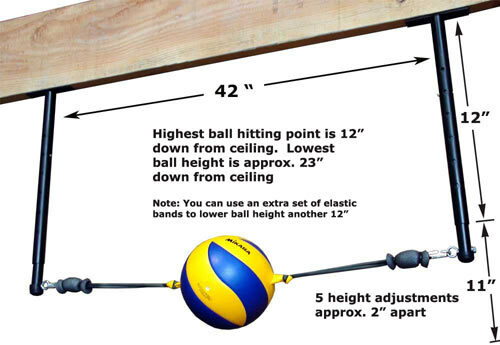 Actual hitting height and adjustment range depends on the height of the ceiling beams the Spike Trainer is mounted to. 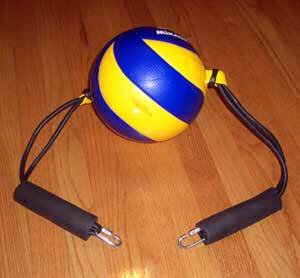 Designed to be permanently mounted in a garage or basement, the Volleyball Spike Trainer (VST-500) is easy to install and adjust. 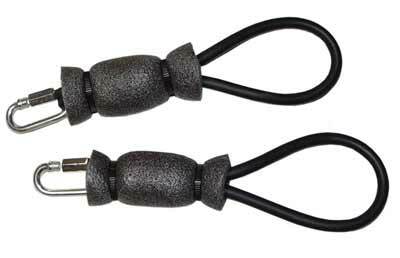 Simple to Install Simply attach the Ceiling Mount Assemblies with the 6 supplied Lag Bolts approximately 42 inches apart, then attach the removable Volleyball Assembly.